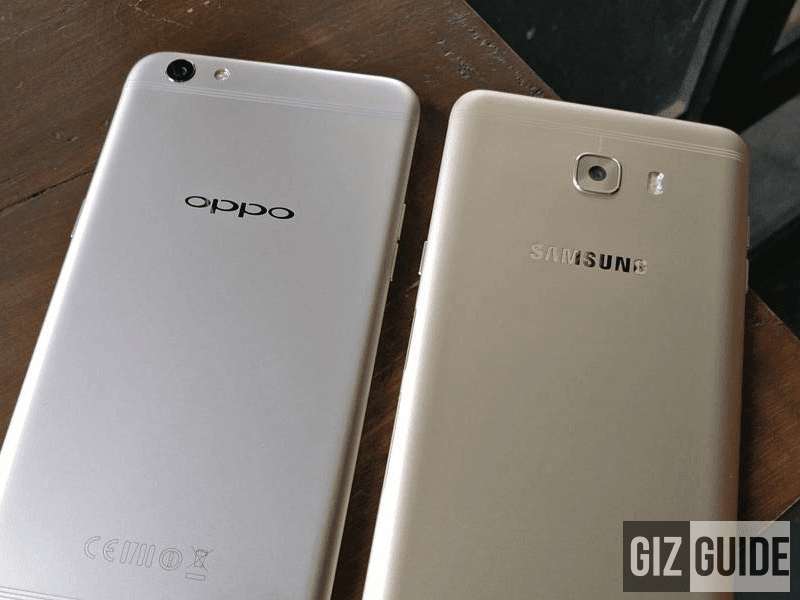 The OPPO F3 Plus is currently the most hyped upper-midrange phabet right now. To counter it, Samsung has unleashed the Galaxy C9 Pro here in the Philippines. They match very well as both have similarities design, screen size, processor, and battery life. They only differ in RAM size, camera, and audio technology. F3 Plus or C9 Pro? So, let's compare what they have to offer on paper! Initially, we liked the build and slimness of the Galaxy C9 Pro better. It also has more RAM, at 6 GB but that will only have minimal difference against 4 GB RAM in real life. On the other hand, the OPPO F3 Plus can compete with the C9 Pro on overall specs especially on the camera region for less. Both looks great if you are looking for an all-around midrange phabet. Can't go wrong with both.